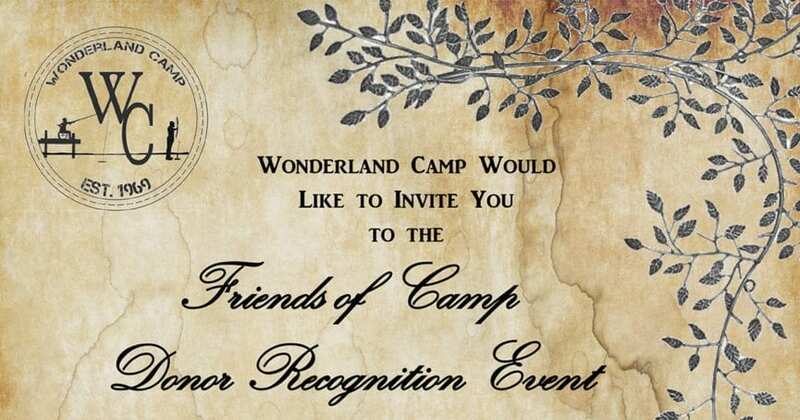 The year 2017 was a fantastic year for Wonderland Camp and our campers. All of this was made possible by due support from the community and those businesses that helped with our fundraisers throughout the year. 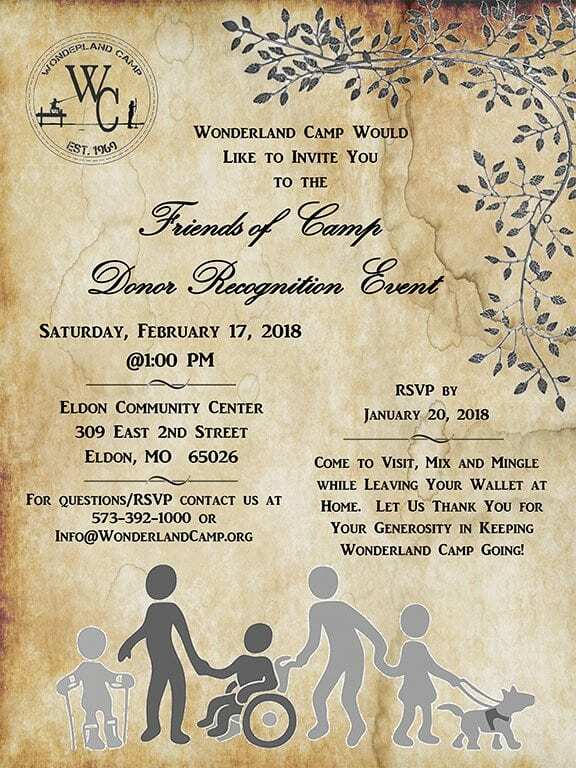 We want to say “thank you” to all of the people and businesses that supported the camp in 2017 on February 17, 2018 in Eldon. Attached is the flyer for this event, a simple gathering for everyone that supported the camp in 2017, while allowing our board members and me to say “thank you” on a more personal level. We need people to RSVP by January 20, 2018 since we are providing food for everyone and just want to ensure that we have enough on hand.